Creating Art is a time for celebrating free thinking, creativity and workmanship. Often times, when students complete an art piece they feel proud about it and want to display it. 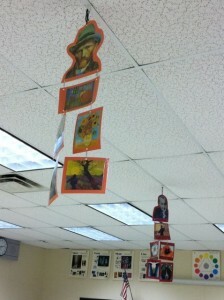 Of course teachers love to display student artwork as a way to liven up their walls. However, with time and experience that form of displaying art can get dull and predictable. 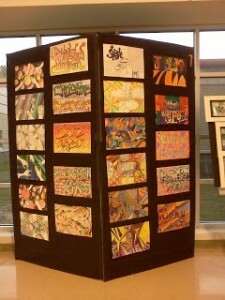 So, I present to you: 8 unique ways to display student artwork. 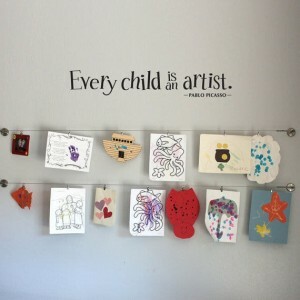 Your students will be thrilled to see their artwork this way! This is an awesome way to give your room some umph! 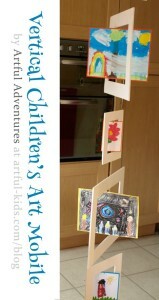 An art mobile adds a 3D element to the work, and allows the artwork to spin in different directions. To make your life easier, students can create their own borders for the mobile, or you can leave that part out. This would work great on display in a classroom corner. This allows you to still use the conventional wall space, but in a jazzed up way. 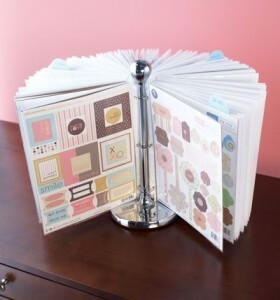 Use decorative scrapbook paper, and clothes-pins with a fancy bow as a way to hang the artwork. This will have your room looking super classy. This will create the perception that your class’ artwork should truly be appreciated. You can display this in a classroom corner. Or, alternatively, you can arrange to have some hallway space for your display. The link for the picture below gives a tutorial on how to make the board. What a way to give artwork a finishing touch. 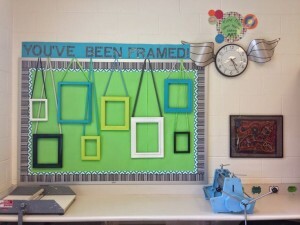 Your students will feel like their artwork is truly valued once it’s behind a frame! If it is not feasible for you to get as many frames as you have students, then you can reserve this form of display as a way to reward the most exemplary pieces of work. This way it will work as an incentive. Because, who has wall space with all the bulletin boards, calendars and anchor charts? This will make your class look and feel more alive, and it utilizes an otherwise unused space. All you need for this is some string and a hole punch. Something about this look is so modern! You could use a clothing line, or art wire. Also you can have students decorate their own art clothes-pins that will be their special pin for all their artwork. This will save you the hassle of stapling and unstapling work to the wall and potentially even damaging the artwork (and your time). I think this is my favorite type of display! This is an ingenious way of displaying artwork! The idea is: use a paper towel holder, place binder rings on it with plastic paper holders, in which you place student artwork. This one takes the cake for most creative. It’s not your typical wall display, and it forces the viewer to take their time and appreciate the piece they are looking at. 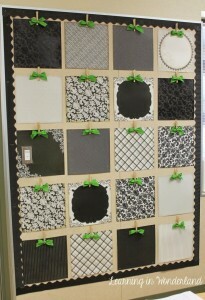 This is great, because it’s mostly a DIY for your students and leaves you without the task of displaying anything. 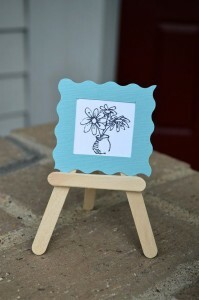 Allow your students to create mini easel’s for their work using popsicle sticks, and they can then display their work proudly on their desks. Which display is your favorite?